Cologne - Two goals in the space of four minutes saw 1. FC Köln overturn a one-goal deficit to remain unbeaten in the current campaign as they clinched a 2-1 win over ten-men Hamburg on home soil. There was little between the two sides during the cumbersome opening exchanges and, though Hamburg were the more active throughout the first half, the visitors were limited to efforts from range that ultimately proved harmless. Köln, meanwhile, were bereft of the all-important final ball and registered just one shot on goal in the first 45 minutes, which came before Rene Adler was forced off with a shoulder injury in the 40th minute of the match. That all changed two minutes after the restart when Lewis Holtby side-footed HSV in front from a neat pull back. 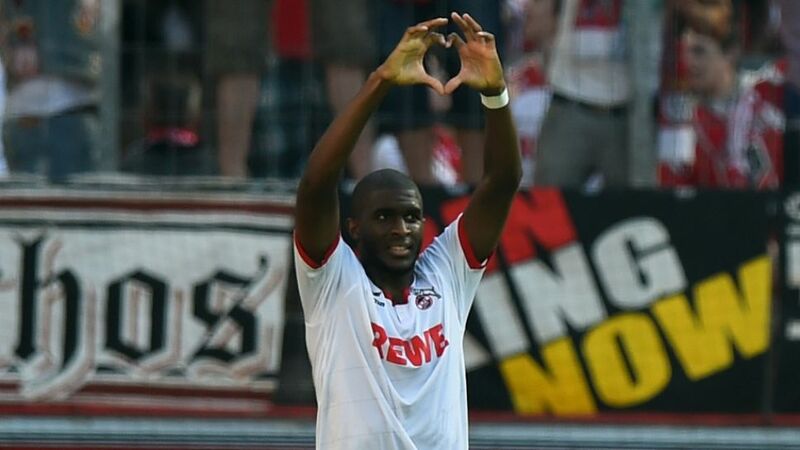 Ivo Ilicevic and Anthony Modeste both went close at either end, however, there were still a few late twists in the tale as Köln turned the game on it’s head. Philipp Hosiner came off the bench to score on his debut before Emir Spahic was sent off for a last-man challenge on Modeste, who dusted himself off to slot home the spot kick and clinch victory for his side.